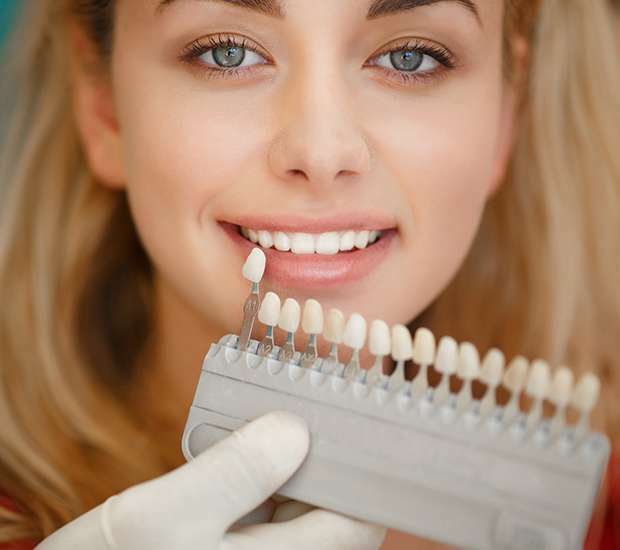 If you want to improve the appearance of your smile, call our Altamonte Springs dental office at (407) 337-1112. While here, we can examine your smile and provide you with more information about Lumineers. This is an excellent solution for addressing a variety of aesthetic issues and at Plaza North Dentistry we have found that our patients appreciate how convenient the procedure truly is. When you have stained, cracked, or chipped teeth, you need to decide whether you want to replace them or use Lumineers to restore them. 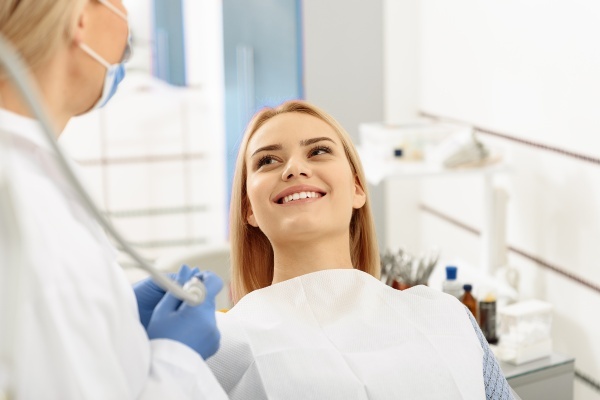 At Plaza North Dentistry, we realize the many benefits of keeping your natural teeth intact and recommend that you select the restoration option whenever possible. Patients often ask us why they should choose Lumineers over the more common dental veneers. The answer to this question is relatively simple. When you have dental veneers placed, there's a need to scrape away a portion of your dental enamel to make way for the veneers. Essentially, what you are doing with dental veneers is removing the naturally occurring enamel so that they can lay flat without making your teeth appear overly large. The challenge with this process is that veneers permanently alter your teeth. Once the enamel is gone, you will always need a dental restoration in order to protect them. Simultaneously, this process can be incredibly uncomfortable and that discomfort can last for days. Also, it is important to note that the more naturally occurring enamel you have, the better it is for the overall longevity of your teeth. When you decide to use Lumineers, over the more commonly used dental veneers, you are choosing a solution that is less invasive and typically allows for your enamel to remain intact. The Lumineers are as thin as a contact lens and this allows them to be placed without requiring your natural teeth to be permanently altered. This makes the process of receiving Lumineers more comfortable, faster, and reversible. As a result, we have found that our Altamonte Springs, FL patients tend to prefer this option. Once you have decided to improve your smile with Lumineers, you will need to visit our office to discuss the procedure. The procedure to get your Lumineers consists of two visits to an authorized certified Lumineers dentist. The first visit is the initial consultation, during which impressions of both your upper and lower teeth will be taken along with measurements. This information is sent to the Lumineers laboratory along with photographs and other records that you can provide. They are created on-site using your specific measurements to ensure that they fit perfectly and look natural. Unlike traditional veneers, you will not need any shots since there is no requirement to drill and remove the enamel. Also, you will not have to wear unsightly acrylic temporaries. The first visit to our Altamonte Springs office is more consultative and getting the impression that we need in order to make sure that your Lumineers fit perfectly. Simultaneously, we will look at the color palette and other factors to make sure that once your Lumineers have been fitted and bonded into place, they look exactly the way you want them to. This final step will take place at your second, and final, appointment. To learn more about this amazing solution, call 407-337-1112 and schedule an appointment with our Altamonte Springs, FL dental office. We are confident that you will enjoy the many benefits offered by Lumineers and the fact that the procedure is far more comfortable than other cosmetic solutions. At Plaza North Dentistry, our goal is to give you a smile that you can be proud to show off, and this is one of our most popular ways of doing so.